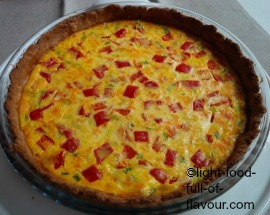 Let’s face it; quiche is never going to be perfect slim-line food. There is far too much butter involved for that to happen. Big sigh! But, do not despair. There are ways to eat it without having to change to a larger size in clothes. · Run around the block ten times before eating or walk up the stairs of a 10-story building, twice. 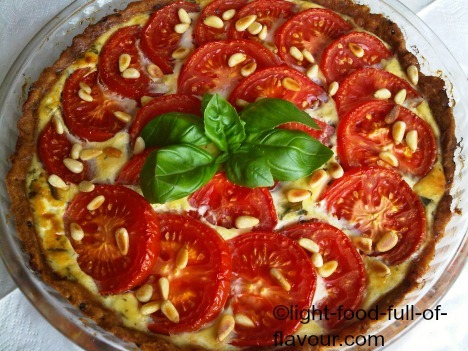 · Make a BIG salad to go with it and eat a HUGE portion of salad and small portion of a quiche. I go for the latter option. And I also aim to make my pastry as healthy as is possible when butter is involved. Yes, I make my own pastry and no, it is not difficult to do. Not only is it quite easy to make – it has the potential to leave everyone eating it being seriously impressed. Until I moved to Britain, I didn’t realise you could actually buy ready-made pastry cases. I couldn’t understand why people kept raving about my pastry and asking me if I had made it myself. I use my hands to make my pastry – no machines involved, not even a rolling pin to roll out the pastry. Hands only! I find that I can use less flour this way and get a really flaky pastry that melts in your mouth. Ah yes, flour - let me start by talking about what flour to use. I prefer to use a mix of wholemeal (wholewheat), spelt and/or white flour. These days in the UK you can get your hands on really good stone-ground, organic flour from specialist mills in the bigger supermarkets. OK, you pay a little bit more for these types of flour but here’s the deal – in mass produced flour most of the nutrients have been removed while a wide variety of additives have been added. 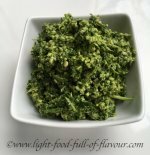 How to make really tasty and healthier pastry for quiche using different types of flour - including spelt flour. 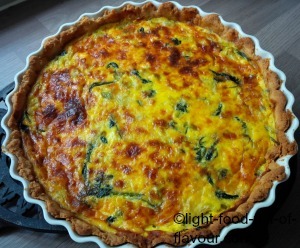 A green dream - this leek and courgette quiche with spinach and spring onions as well is exceptionally tasty. This butternut squash quiche is sensationally tasty. 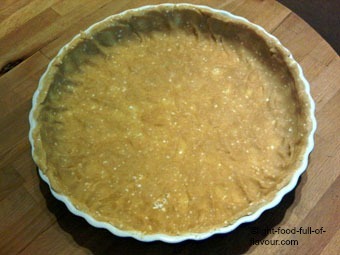 The pastry has a wonderfully nutty flavour thanks to the wholegrain spelt flour that I use to make it. 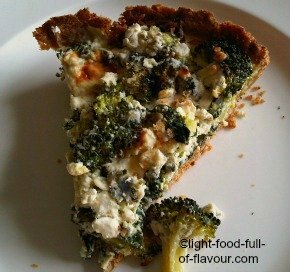 A full-flavoured broccoli and spinach quiche with a fantastically tasty pastry made with wholegrain spelt flour. 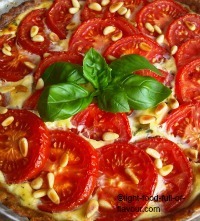 A summery and utterly gorgeous tomato and basil quiche with a spelt pastry. 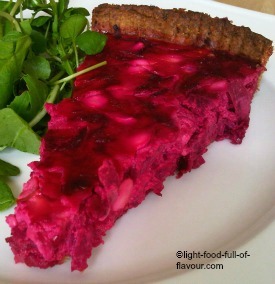 A full-flavoured beetroot quiche with a spelt pastry. 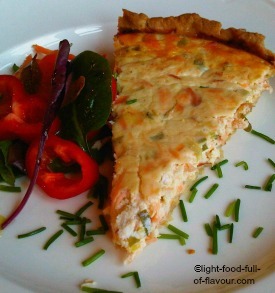 A really delicious smoked salmon quiche with an incredibly flaky spelt pastry. 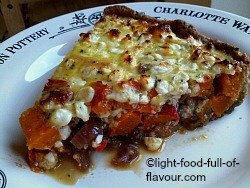 I am using mozzarella and parmesan cheese in this very tasty carrot and pepper quiche, and the pastry is made with spelt flour. Yum! 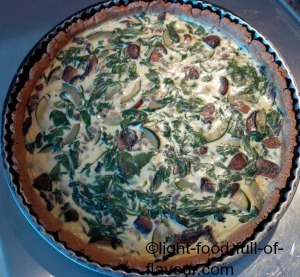 A recipe for a tasty gluten-free quinoa quiche with mushrooms, zucchini and goat's cheese.